Obituary for Audrey Doris (Follett) Burlette | Doolittle Funeral Service, Inc.
Audrey Doris (Follett) Burlette, 80, of Middletown, passed away at home on February 10, 2019. Born in Waterbury, she was the daughter of the late Frederick and Audrey (Noble) Follett. Audrey lived most of her life in Naugatuck and worked at Teikyo Post University in Waterbury for twenty-six years. Audrey moved to Middletown to be close to family and became a member of Church of the Holy Trinity. 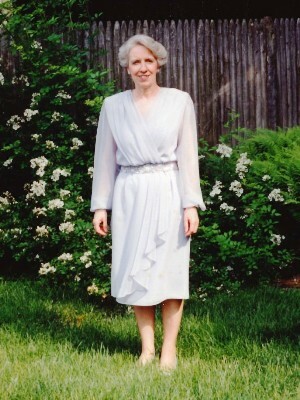 She is survived by two sons, Ron Burlette and his wife, Marie of Middletown and Randy Burlette and his wife, Christina of Middletown; two daughters, Linda L. Filipiak of Bedford, MI, Jill A. Rattinger of Raleigh, NC; two brothers, Kenneth Follett of Beacon Falls, CT and Donald Follett of Southbury; twelve grandchildren; seventeen great grandchildren and three nieces. Funeral services will be held on Friday, February 15 at 10:00 a.m. at Church of the Holy Trinity, 381 Main Street, Middletown. Burial will be at the convenience of the family. Family and friends may call on Thursday evening from 5:00 to 7:00 p.m. at the Doolittle Funeral Home, 14 Old Church Street, Middletown. In lieu of flowers, donations in Audrey’s memory may be made to Church of the Holy Trinity, 381 Main Street, Middletown, CT 06457 or to Saint Michael’s Episcopal Church, 210 Church Street, Naugatuck, CT 06770. To share memories or send condolences to the family, please visit www.doolittlefuneralservice.com.